Western intellectuals have long theorized that religion would undergo a process of marginalization and decline as the forces of modernity advanced. Yet recent events have disrupted this seductively straightforward story. As a result, while it is clear that religion has somehow evolved from its tribal beginnings up through modernity and into the current global age, there is no consensus about what kind of narrative of religious change we should alternatively tell. Seeking clarity, Benjamin Schewel organizes and evaluates the prevalent narratives of religious history that scholars have deployed over the past century and are advancing today. 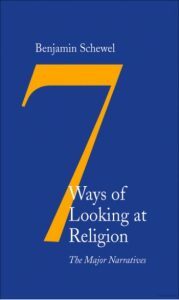 He argues that contemporary scholarly discourse on religion can be categorized according to seven central narratives: subtraction, renewal, transsecular, postnaturalist, construct, perennial, and developmental. Examining the basic logic, insights, and limitations of each of these narratives, Schewel ranges from Martin Heidegger to Muhammad Iqbal, from Daniel Dennett to Charles Taylor, to offer an incisive, broad, and original perspective on religion in the modern world. 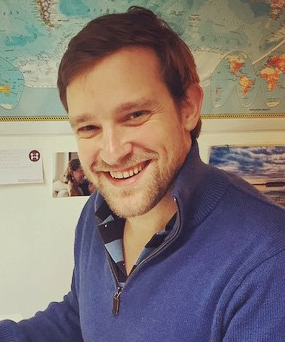 Benjamin Schewel is a Fellow in the Centre for Religion, Conflict and the Public Domain at the University of Groningen and an Affiliate Scholar at the Institute for Advanced Studies in Culture at the University of Virginia. He is also a Research and Policy Officer at the Bahá’í International Community’s European Office. He received a Ph.D. in philosophy from KU Leuven and has also held visiting positions at the Universities of Oxford, Cambridge, Utrecht, and Addis Ababa. His research concentrates on questions concerning religion and history. His book, entitled, Seven Ways of Looking At Religion, was published by Yale University Press in 2017. He is currently working on another book for Yale University Press, entitled Encountering the Axial Age.